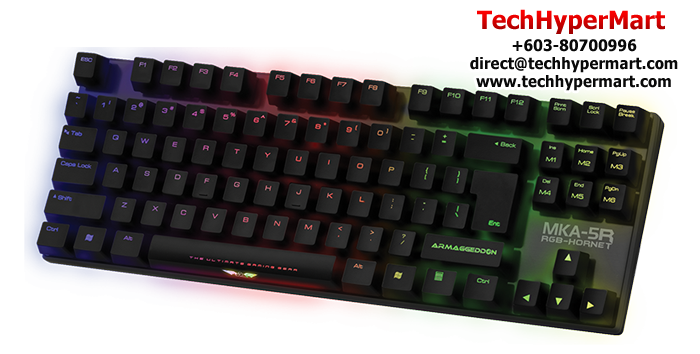 Black switches: Every dedicated gamer’s dream mechanical keyboard is here! Why settle for a membrane keyboard that will tire your fingers when you can get the Black Hornet fully equipped with the Black switches! This mechanical keyboard will respond seamlessly to your every command due to the fact that it gives you a smooth feel without the tactile bump. Hitting a wrong key at a crucial point never becomes a problem with the Black Switch as it requires a high actuation force. Red switch: Need a lighter variant from the Black switches? Now Black Hornet is equipped with Red switches too! These linear switches require low actuation forces, making it easier during push downs and thus does not tire during long hours of gaming. 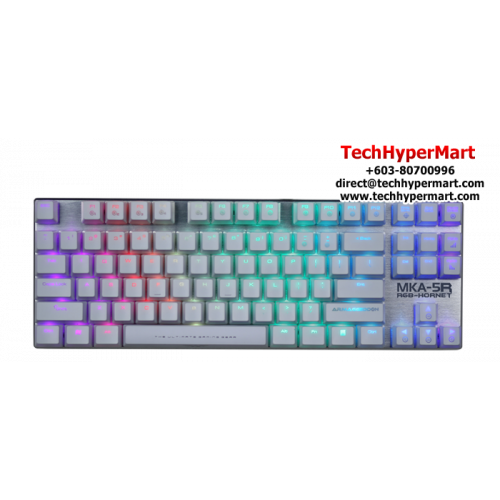 Backlighting on gaming cluster keys: Gaming in the dark becomes easier with all keys having backlighting with special characteristic yellow backlighting for the gaming specific; WASD, arrow, escape and spacebar keys. Brown switch: This version of the Black Hornet comes with the Brown switch, which is ideal for precise response gaming and typing. This switch comes with a light tactile “bump” to let you know your key has been activated which is a common preference amongst casual gamers. 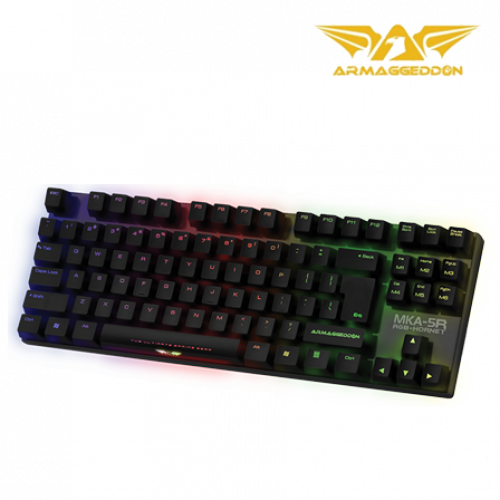 Perfect for both casual and gaming use: As this version of the Black Hornet comes with the Brown Switch which stands on a neutral ground between gaming and typing it is perfect for the casual gamer, this keyboard is durable, quick and smart. Blue switches: Casual gamers, who type as much as you game, this version of Black Hornet equipped with Blue switches would be better suited for you. The distinctive “click” sounds sets Blue mechanical switches apart from the rest, with the tactile “bump” which activates the key you’ve pressed. Brown and Blue switches are quite alike in terms of specification, only that the Blue switch is lighter and tends to be noisier too.